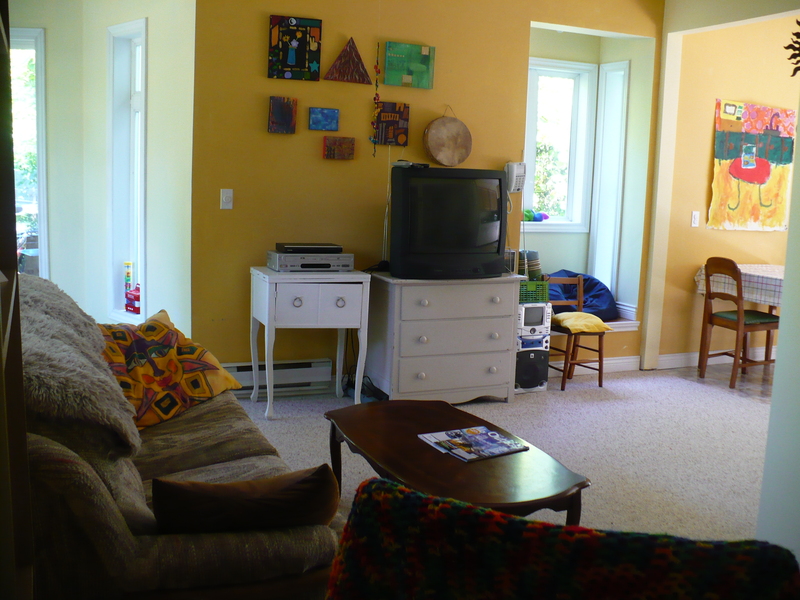 This is a picture of part of the living room at Ahoy Guesthouse. In addition to the TV, DVD/VHS players, and CD/radio show, guests will find a variety of DVDs, videos, games, and books for all ages. In addition, there are toys and a play nook available.